The names of nearly all the gods came to Greece from Egypt. This makes sense once we recognize that replacing letters (sound shift) is a common phenomenon worldwide. From the earliest days of comparative philology, it was noticed that the sounds of related languages corresponded in apparently systematic ways. As an example of the phenomenon of sound shift, a person’s name can still be recognized in vastly different sounds, such as Santiago/San Diego/San Jacob and Saint James. Jacob/Jack/Jaques/James are one and the same name, which exemplifies the phenomenon of sound shift. It should be noted that what we commonly consider names of deities are actually the “attributes” (names) of such deities. The real names of the deities (gods, goddesses) were kept secret. The real name was/is imbued with magical powers and properties. To know and pronounce the real name of a neter/netert (god/ goddess) is to exercise power over it. 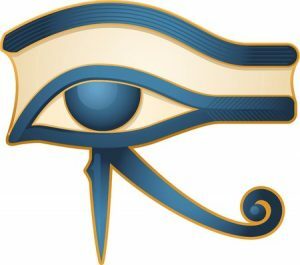 To guard the cosmic power of the deity, the Ancient Egyptians (and, later, others throughout the Mediterranean Basin and beyond) often used “names” with religious connotations. Baal simply means Lord or ruler; and so we hear of the Baal or the Baalat (Lady) of such-and-such a city. Similarly, a deity will be called Melek, meaning King. So, too, Adon, which means Lord or Master. Melqart meant King of the City. Other “names” meaning ‘favored by the gods’ or ‘granted by the gods’ were translated to Latin as Fortunatus, Felix, Donatus, Concessus, and so on. To affirm Herodotus’ reports of the Greek adoption of Egyptian deities, archaeological evidence in the 4th century BCE shows that Athens was basically a center of the Egyptian religion, and shrines to Isis, both public and private, were erected in many parts of Greece during that period. In Magna Graecia, the monuments found in Catania in Sicily show that this city was a center of the worship of Egyptian deities. Southern Italy contained many temples of Isis, and the remains of statues, etc., found in Reggio, Puteoli, Pompeii, and Herculaneum prove that the worship of Egyptian deities must have been common. It was the Egyptians too who originated, and taught the Greeks to use ceremonial meetings, processions, and processional offerings: a fact that can be inferred from the obvious antiquity of such ceremonies in Egypt, compared with Greece, where they have been only recently introduced. The Egyptians meet in solemn assembly not once a year only, but on a number of occasions. Among the Greeks also many things are done which are similar to the Egyptian ceremonies in the shrines of Isis, and they do them at about the same time. In Rome, in the 1st century BCE, Isis was regarded as the principal netert (goddess) of the city. Great buildings and temples were set up in her honor, filled with Egyptian objects, obelisks, altars, statues, etc. which were brought from Egypt in order to make the shrines of Auset (Isis) resemble those of her native country. Priestesses who professed to be well acquainted with the “mysteries” of Auset dwelt in or near these temples, and assisted in performing services and ceremonies in which large congregations participated. From Rome, the reverence for Auset naturally spread to the provinces and beyond. Isis is, in fact, the female principle of Nature, and is receptive of every form of generation, in accord with which she is called by Plato the gentle nurse and the all-receptive, and by most people has been called by countless names, since, because of the force of Reason. she turns herself to this thing or that and is receptive of all manner of shapes and forms. The “many names” of Isis were adopted throughout Greece and in Italy and beyond. Thus, the Greeks and Romans identified her frequently as Selene, Demeter, Ceres, and with several goddesses of crops and of the harvest in general. She was also regarded as an Earth goddess; and as such was the mother of all fertility and abundance. Some of her attributes caused her to be identified as Aphrodite, Juno, Nemesis, Fortuna, and Panthea. The Ancient Egyptian religious practices associated with Isis and Osiris had made major strides in Italy. In Campania, an inscription, dated at 105 BCE, was found in a temple of the Ancient Egyptian Sarapis (Sar-Apis) at Puteoli, evidence that the temple existed prior to that date. About 80 BCE (in the time of Sulla), a College of the Servants of Isis (or Pastophori) was founded in Rome, and a temple was built in the city. In 44 BCE, a temple was built in Rome to honor Isis and Osiris; and a few decades later, the festival of these Egyptian deities was recognized in the public calendar. The main festival in Italy corresponded exactly to the Ancient Egyptian festival that commemorated the murder of Osiris and the finding of his body by Isis. As in Ancient Egypt, it opened in November with the singing of dirges and heartbreaking lamentations for the death of Osiris, which were, no doubt, based upon the compositions that were sung in Egypt about the same time. Then, on the second day, scenes were enacted that represented the frantic grief and anxiety of those who went about searching for the body of Osiris. On the third day, Isis found the body of her husband, and there was great rejoicing in the temple. Grief gave place to gladness and tears to laughter, musicians of all kinds assembled and played their instruments, men and women danced, and everyone celebrated. 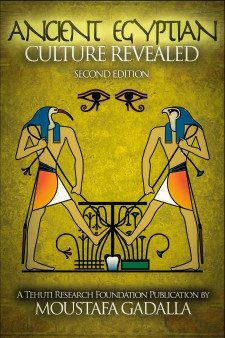 The Ancient Egyptian religious practices as they relate to the model story of Isis and Osiris spread all over southern Europe and into many parts of North Africa, and continued to be a religious power in these regions until the close of the 4th century CE. 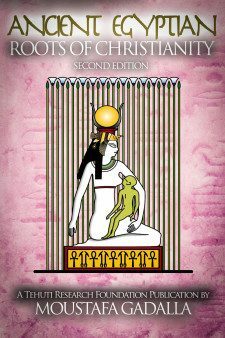 These Ancient Egyptian ideas and beliefs survived in Christianity, whereby Mary the Virgin assumed the attributes of Isis the Everlasting Mother and the Babe Jesus assumed those of Horus.